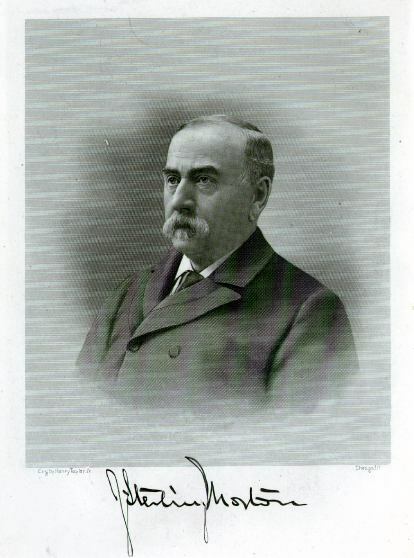 AUGUSTUS O. THOMAS, A.M., PH.D.
JAMES A. BEATTIE, A.M., LL.D. To the memory of the strong men and noble women who dared the dangers and endured the hardships of pioneer life in the "Great American Desert"; who first plowed and planted these Plains, who here first built and consecrated homes, and who laid the foundations of an enduring civilization. The publishers take pleasure in presenting to the people of the state and of the country this History of Nebraska. While it is the history prepared by Sterling Morton and Albert Watkins, it is much more. It is a careful and a thoughtful revision of their edition which was completed in 19 11 and 1913. 1. To preserve, as far as possible, the order and the current of events as they are presented in the former work. 2. To furnish, at reasonable cost and within moderate space, a trustworthy history of the days of exploration and discovery, of the pioneer sacrifices and settlements, of the life and organization of the territory of Nebraska, of the first fifty years of statehood and progress, and of the place Nebraska holds in the scale of character and civilization. 3. This revision is the result of a conscientious and painstaking effort to preserve the unity and spirit, the aim and purpose of the original work. Where changes have been made they have been to bring the parts together, to preserve the unity and harmony of statement, and to add important events which have taken place since the publication of the parent work. Changes have been made, also, to include the events and progress which fall within the semi-centennial period which had not taken place when the larger work was written. 4. It has been the specific aim to include the facts of life and the events in history which exhibit for the people of today and for those who are to come after us a true picture of the plains of Nebraska and to give a trustworthy account of the progress which has been made during the years which lie between the date when the first hunters and trappers saw the Platte river and valley and March 1, 1917 -- the end of the first semi-centennial of the state. of the oppressed and in answer to the call of humanity. It is the purpose of the publishers, when the war is over, to present to the public a volume giving Nebraska's record in the great war. Enough has been done during the fourteen or fifteen months since the United States declared a state of war exists and took her place with the allied nations, to assure us that Nebraska's record will be worthy of the great cause in which we are engaged and of the loyalty and patriotism of a free, intelligent, and independent people. WESTERN PUBLISHING AND ENGRAVING COMPANY. Two or three statements may aid us, in appreciation of history in general, and more particularly they may help to show the value, for all citizens, of local and state history. They will enable us to understand and to realize that he lives the best and most useful life, both for himself and for all with whom he is in any way connected, who lives in the present, who makes a wise use of all the past, and who provides, as far as possible for the future. This relation of past, present, and future points to the true meaning of history and helps us to determine its real significance. It suggests the most significant thing in the study of history, whether it relates to a community, to a state, to a nation, or to the world. This is the case whether history is one of the means of mental growth and intelligence and a source of enrichment of life, as in the case of a student, or from the standpoint of the busy man or woman who has time for only a few pages in a week. This meaning and significance may be express ed thus: We study history that we may know how the present came to be -- how the present came out of the past -- what the relation of the present is to the past, and, then, by a wise use of the knowledge we gain and the strength we acquire we may prepare for the future. This is the practical, everyday side of the knowledge of history. From this point of view history has a meaning and a significance which are beyond our ability to measure. 2. A second thing worth while to mention in this connection is this: Every state in the federal union has certain things which distinguish it from others. These special characteristics may be in the relative position, in the form or contour of the surface, in the richness or poverty of the soil, in the depth or shallowness of the subsoil, in the water supply, in the presence, or absence of trees, in the quality, quantity, and variety of the native fruits, in the size and number of its watercourses, in its exposure to or protection from destructive storms, in the life and character of the native peoples, in the aim, spirit or purpose of the first settlers, in the adaptation of the earlier and later inhabitants, in the changing conditions which advancing civilization imposes, or any one or more of a hundred other peculiarities. While these qualities are often difficult to find in advance they determine the trend of development and fix within definite limits the extent and character of the progress and civilization of the inhabitants. of the first semi-centennial period. This is the case because the trend of growth and development was determined in part by the physical features upon which the social, economic, political, educational, and religious forces have acted and reacted. Had they been different the history of those who came to build an enduring civilization would have been different. The divine hand through nature's forces and laws laid the foundations of a commonwealth and the builders have erected a structure worthy of themselves, of the opportunities which were theirs, and of the physical conditions into which they came. 3. A third thing which may be in place in this introduction as we think of the significance of history and of the relation of the past to the present and to the future, is the complete transformation which has taken place in the valleys and on the plains of Nebraska within much less than one hundred years. What does that transformation say when we question the future? What is the answer when we ask what the future ought to be in the light of the growth of the past? And again when we see the answer in the light of the condition of the present? Do we have the courage of the real conviction necessary to face the future with its ever-increasing demands? Do we possess the knowledge of the past and likewise the ability and skill to use the forces and institutions of the present and thus make the future worthy of the past and of the present? Have we the wisdom which the past is willing to supply and the strength which knowledge gives so completely at our command that we can make the physical well-being, the intellectual attainments, the moral worth and spiritual excellence of the future worthy of the past and present? In the light of that which the history of Nebraska unfolds, what kind of a future will discharge the debt we owe the future? Think of the comparatively short time since the great stretches of Nebraska lands were occupied by Indian tribes and herds of buffalo, and of the very few years since the Oregon and Mormon trails were followed by the thousands of people who sought homes and fortunes in the far West! A little study will teach us what and when and how our forefathers accomplished, in so brief a space, so great a transformation. The pages of this semi-centennial history show us by what means our children and our children's children. may be worthy of the log cabin, the sod house and the ox team of our fathers. To make our children and ourselves worthy sons and daughters of noble men and devoted women is one of the chief purposes of this publication.